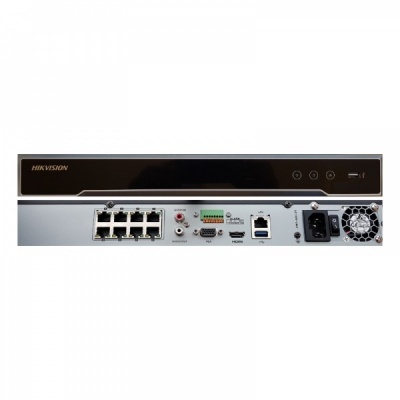 The Hikvision NVR is an 8 channel network video recorder with 8 PoE ports built in making it simple and easy to set up. This NVR has two spaces for hard drives and can hold a maximum of 20TB of storage. Can record cameras up to 12MP and supports H.265+ video compression. With a HDMI and VGA output, a monitor can be easily connected. The NVR can also be accessed through Hik-Connect or a browser. Two way audio is supported along with other features such as VCA detection alarm and Automatic Number Plate Recognition (ANPR) support. 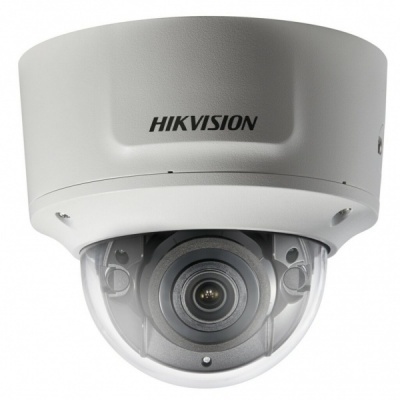 The Hikvision Camera is a 8MP dome camera with a 2.8mm - 12mm motorised zoom lens and built-in infra-red LEDs that are effective up to 30m. 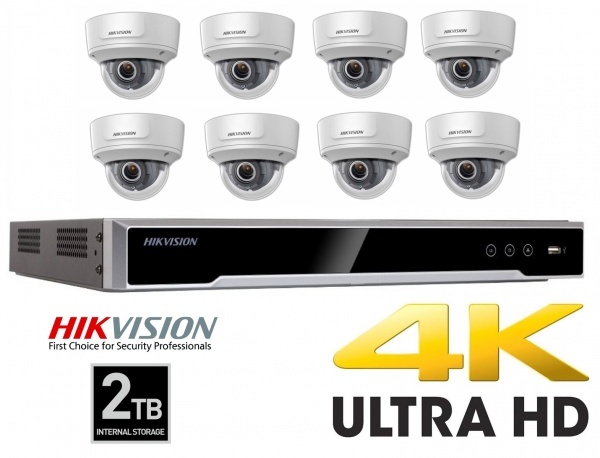 This camera is from Hikvision's brand new EasyIP 2.0+ range, launched in June 2018. This camera is fitted with IP67 weatherproof housing and IK10 vandal resistant housing making it a great choice for outdoor applications. It can cover a wide area of interest with 3-axes adjust-ability and optional wall mount. Furthermore, a range of built-in smart features are used to improve security even further: motion detection, line crossing detection and intrusion detection. It has an optional SD card slot and uses H.265+ compression to greatly reduce bandwidth and storage needs. This camera can be powered with a 12VDC power supply or by PoE.